Take a sleigh ride with Gary and sixteen piece The Len Phillips Big Band and festive favourites from Andy Williams, Mel Tormé, Nat ‘King’ Cole and Frank Sinatra. 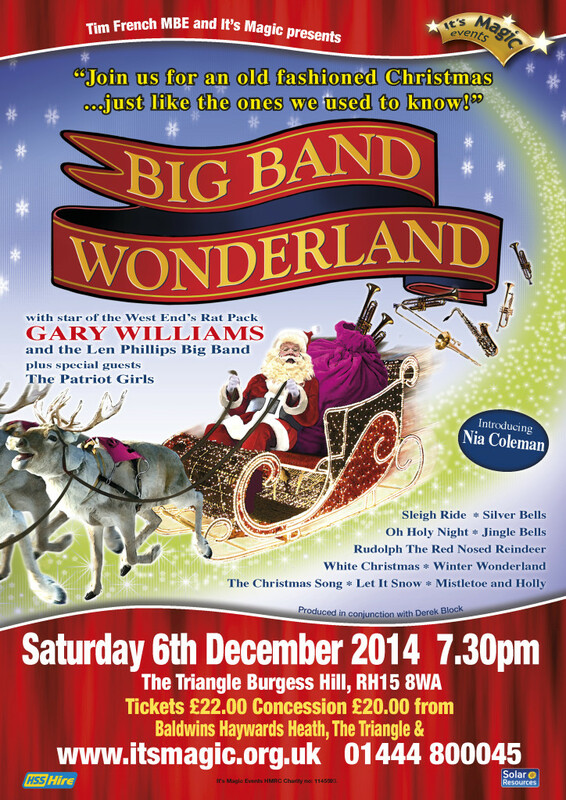 Celebrate this Christmas in style with Gary Williams star of the West End’s ‘Rat Pack’ and his Big Band Wonderland at The Triangle, Burgess Hill on Saturday 6th December. A performance packed with the all-time holiday classics including Let It Snow, White Christmas, Have Yourself a Merry Little Christmas and many more. Special guest stars The Patriot Girls bring a touch of glamour, tight choreography and tight vocal harmonies to a sprinkling of Christmas classics.